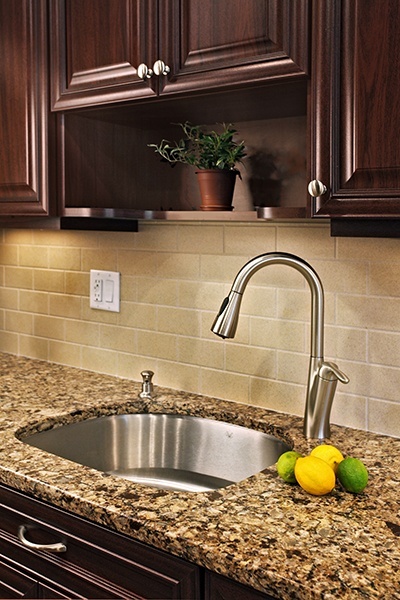 Many homeowners are having their backsplash serve as the feature of their kitchen design. 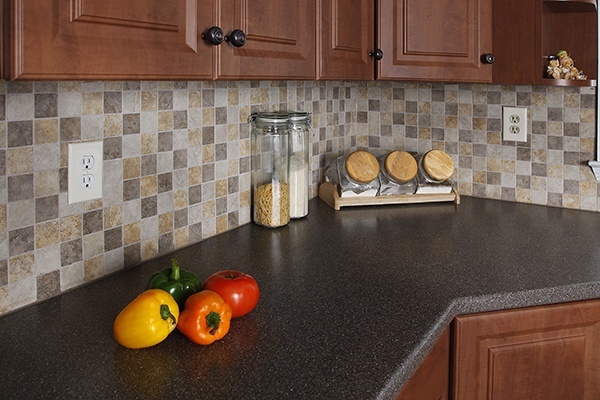 With so many choices in the material, style and color, a backsplash can be added anywhere there is countertop space. When planning your kitchen remodel, be sure to speak with your designer about the available options for your backsplash because this design feature matters! Backsplashes used to provide only functionality in the kitchen; they were a standard four inches high and were set behind the stove and sink to protect your walls from moisture and grease. Kitchen backsplashes come in a variety of materials; you can use concrete, natural stone, mosaics, glass, ceramics and even metals. It can even be as elaborate as a complex piece of art behind your countertop. This is a designer trick to add dimension to the aesthetic appeal of a kitchen design. 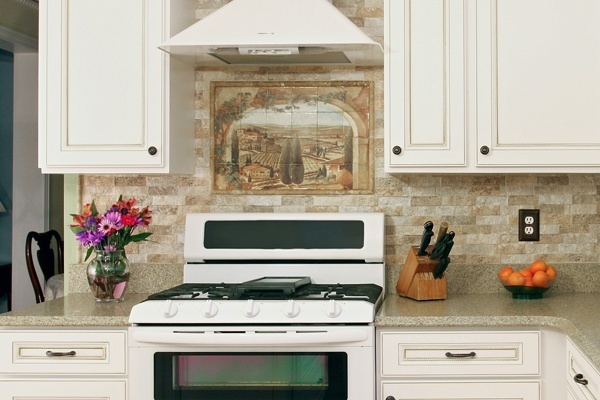 But looks are not the only factor to consider when choosing a backsplash. You want a material that also serves as a protection from moisture and grease, making it easy to maintain. Natural stone, like granite, is porous and can absorb grease over time. Popular materials such as glass and metal are easier however, you still need to stay on top of post-cooking clean up to alleviate stains within the grout. 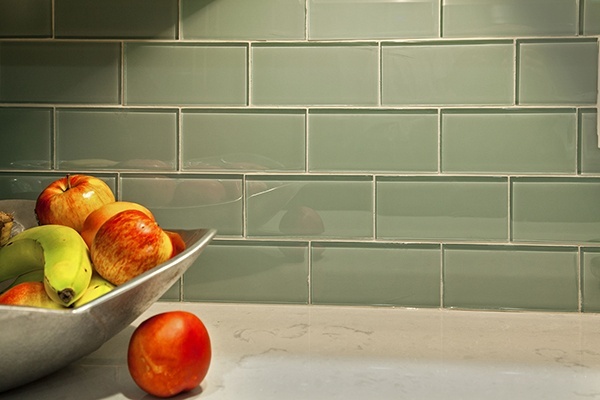 Corian is a great material to use as a backsplash and looks just like a traditional tile backsplash. Corian is made from a blend of natural minerals and pure acrylic resin. Its custom routed design is one solid piece, meaning there is no grout to clean. Unlike natural stone, Corian is non-porous and resists dirt, surface stains, humidity and heat. Its strong material is resistant to impact damage, bacteria and mold. Available in 114 colors, and many popular designs, such as subway, diamond, off-set diamond and square, it’s guaranteed that you’ll find just the style you’re looking for. 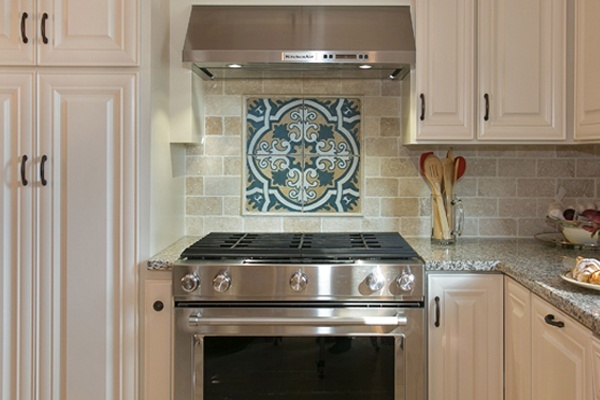 The design of your backsplash is as important as the material you choose. As you plan your backsplash design, think about the overall look you’d like to achieve in your kitchen, as well as the space you have. If you have a small kitchen, wrapping the backsplash around the entire room can make a smaller kitchen appear larger by giving it a sense of visual continuity. Complex or colorful backsplashes work best with solid countertops, and don’t be afraid to mix and match materials and colors within your backsplash. Many manufacturers, like Daltile, offer collections that include multi-colored variations--doing the design work for you. You can create a focal point in your kitchen by using a different color or pattern above cooking areas. That’s the ideal place to splurge on a more expensive tile, or simply choosing another color to place above the stove or sink, while finishing the rest of the kitchen using more affordable materials. Some homeowners find it difficult to visualize the result or they are challenged when it comes to color or material selection. And all too often, you are required to make too many decisions in too short of a timeframe. If you know you are prone to analysis paralysis, do yourself a favor and give yourself some planning and coordination time to weigh your options, but have a firm deadline so you are decisive. Engage the assistance of a friend or hire a design professional to help guide through the process.